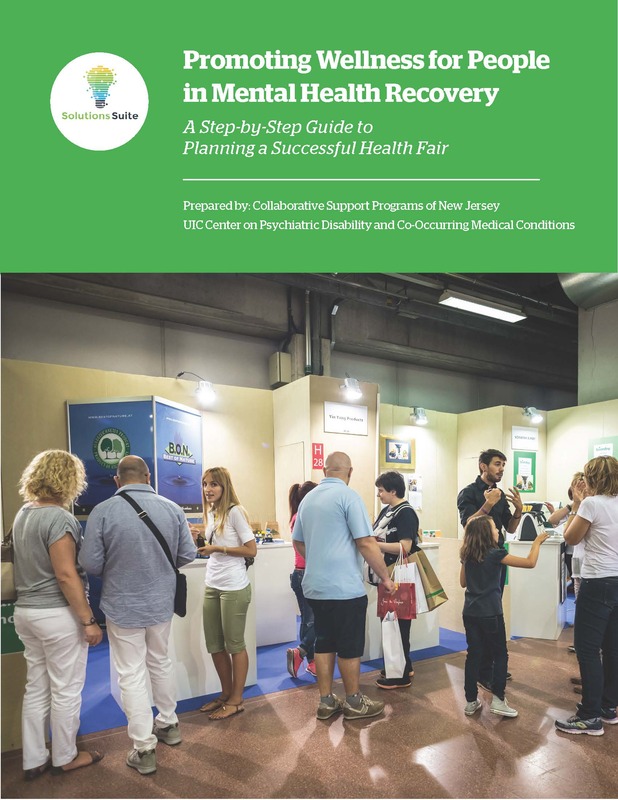 This guidebook contains information for planning and running a health fair for people living with mental health disorders. It was co-developed by the Collaborative Support Programs of New Jersey and the UIC Center on Psychiatric Disability and Co-Occurring Medical Conditions. Health fairs help people in recovery to better manage medical conditions that can be improved with screening, education, and support. Fairs also provide personalized health information that people can share with their physicians, family members, and other supporters. Health fairs are a low-key way to help people become aware of and make choices that lead to a satisfying lifestyle centered on wellness. We encourage you to use this guide to design your own health fair. After using it, let us know how it went.